Tonight at The Game Awards in Las Vegas, we unveiled new footage from Bloodborne, the upcoming action RPG exclusively for PS4 from developers FromSoftware and SCE Japan Studio. This video showcases a new area in the game, culminating with a confrontation with the mysterious and fearsome hunter Gascoigne. It also demonstrates some of the expanded scope of multiplayer interactivity fans can expect. We have much more in store for you. Those who will join us at PlayStation Experience this weekend have a chance to see the reveal of a brand new gameplay feature. We are so excited to meet those of you will have made this journey to Las Vegas to celebrate the birth and future of PlayStation. Amazing cover! I’m going to buy it digitally though so I will have to buy it later down the line just to add to my collection. No one likes Vita anymore. No games. Please do not keep that box art, the grey makes it look so bland, please put back the background but keep the hunters model. So excited for Bloodborne! It’s looking amazing – PS4 needs its very own Demon’s Souls! total player’s in this title? or like Demon/dark souls? Im in. This game looks so good with all the blood effects. Did i see vampire fangs? suddenly getting a vampire hunter d vibe from this game and am triply excited!!! If that’s the definitive box art, then that looks pretty bad imo. The previous placeholder box art with the city in the background was better. 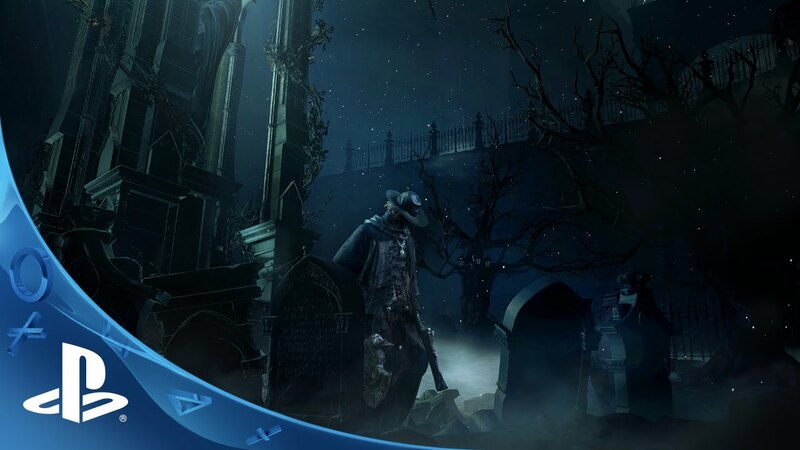 This one looks bland and the white text ‘Bloodborne’ doesn’t contrast well with the blank background. Game looks good. The boxart not so much, the concept box art was much better. Anyways can’t wait for PSX today ! The Dark Souls series represent the pinnacle of last gens new ip’s, so glad to see ps4 setting it off again with another exclusive from this dev. Also looking forward to replaying the definitive DS2 on ps4. Nice, can already tell this one’s going to be special. 1. Keep the lighting effects, anyone remember dark souls 2. A totally different game from beta. So I’m timid this time. 2. Make a special edition red console to go with this game please. Huh, weird. Last night I could’ve sworn there was a statement that this was the final boxart. Now it’s gone. Hopefully the marketing guys are reconsidering this one, because while it may stand out on a shelf, it really is bland and sloppy in comparison to the placeholder art from the past year. The previous art was far superior in conveying a treacherous mood and setting. Plus, FROM’s Souls games had rather dark boxarts and sold well anyway. Your fanbase for this game is not the typical guy who walks into a store and has no attention span unless the high contrast cover catches his eye. This was just an unnecessary change, for the worse. Oh wait, it was on twitter. Still, please reconsider, guys. Or do a reversible cover or a slipcover,. Masaaki Yamagiwa can you keep the download version of the box art the same as the hard copy? Only EA and RockStar and 2K are doing that with their games. I want this so bad but I also don’t want to buy a PS4 for one game. Also, so I can’t play online in Bloodborne unless I pay a lease on the PS4 with PS+? 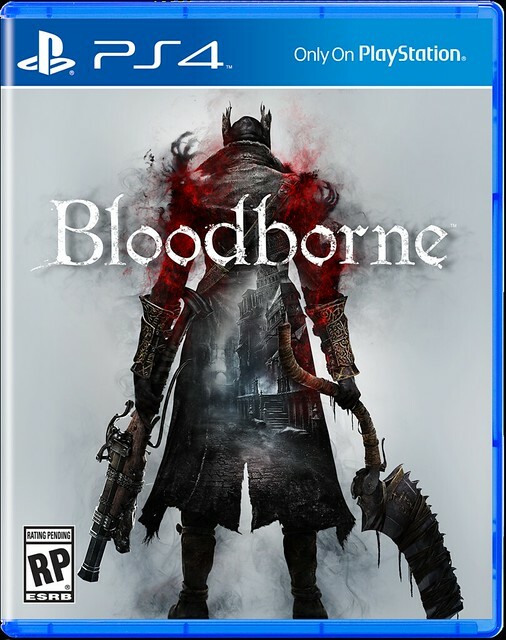 Boxart looks bad…the city as background looked better than this blank background.Change it back…anyway very nice trailer,looking forward to Bloodborne…its basically a must buy for me but I would like to see a demo available. 1. is there character creation? 2. i keep seeing advert “Hunt your nightmare” will this be like a Monster Hunter? 3. how does multiplayer work, do other players randomly join or is it lobby based? 4. is it just one city or are there more places to explore? 5. how long is the main story? 6. are there side quests or anything else to do other then main story? until i know these things i have no desire to purchase this game.